Five challenges of being a mum no one else understands. Five very real challenges only mums face on a daily basis. The thing about my message though, is that all of the above happened BEFORE 9am on a weekday. I hadn’t even finished my coffee. My daughter had shat herself, had a bath, peed all over her naked body, had another bath, and then smeared Sudo all over herself and the house BEFORE I had even brushed my teeth. But I don’t think I can. I love to complain – I’m a fantastic whinger. What I’m getting at though is that while everyone goes through tough times every so often, the challenges mums face are unique in that they revolve around keeping small humans alive, while trying to stay sane all at the same time. My life definitely had its ups and downs before I had my daughter, but the ups and downs I face these days are just… different. Here are another five challenges unique to mums. Spew in the car seat. Well, toddlers and kids can pretty much spew anywhere. But when it happens in the car, it’s particularly difficult to deal with – there are just so many nooks and crannies. I mean, you can take the car seat cover off and wash it. But then you have to figure out if the spew went on the seat belts. And did the spew make it to the actual car seat? Did it splash anywhere other than the car seat and the seat underneath? How many crevices did the spew seep into? Will the smell stay forever? Food all over the house. It’s everywhere – I find crackers under the couch, grains of rice in the shaggy rug, cream cheese smeared into the tiles. It’s everywhere APART from my toddler’s belly. Now there’s a challenge – try feeding a teething toddler anything other than those little packet yoghurts. Sleep is…where do I begin? I don’t even know what to write. I don’t know what to say because my brain is tired. My soul is tired. I am just a tired person. But the worst is when your child is tired AND you are tired. Now there’s a match made in hell. This used to be so easy. Wallet, keys, phone, maybe a book and a bottle of water – go. Now it’s three nappies, a spare singlet, t-shirt, pants and jumper, bottle of water that won’t spill in the nappy bag, seven types of snacks, comforter, dummy, a spare dummy, some smallish toys, green book (just in case), seven thousand wipes, nappy cream, empty plastic bags – the list goes on. One day I had packed all of this (and probably more) for a trip to grandma’s house. I popped the bag in the car and went back to get my daughter. She was walking towards me dragging our WASHING BASKET behind her. Because she HAD to take our washing basket PLUS ALL THE OTHER STUFF to grandma’s with her. Well. After fifteen minutes of negotiating, we finally made it out the door. Baby, mama, supplies. And washing basket. Kid friendly places can be hard to find. So once you’ve actually made it out the door – which is an achievement in itself, where on earth do you go? Other than poor grandma’s house? You don’t want to take a seat at a café filled with business people in suits. Nor do you want to go to a library that doesn’t embrace the noisiness and messiness of kids. I also bet that I am not the only mother ever to make an appointment with a GP and ask for ‘a doctor that’s good with kids.’ And don’t even get me started on daycare centres. That was a BIG decision to make. Which is why I was pretty happy to stumble upon this little app. Kids Friendly was created by a single mum who understands all the unique challenges that come with parenting and then some. It pretty much takes the hassle out of taking your kids places – all you have to do is search for the service you need and tailor it to your local area. Recommendations and reviews made by other mums who have tried and tested places will pop up on your screen. Kid friendly restaurant? Best outdoor activities for kids? Best indoor activities for kids? Best places for play dates? Check, check, check and check. Plus there are reviews on kids/baby products too, which makes buying things like prams, bassinets, car seats, etc. SO much easier. Now, if someone could just create an app to help me extract the dried-up-vomit from the crevices of my car that would be fantastic. Kthxbye. 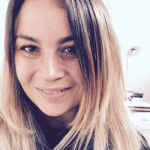 Marina is a freelance writer living in Melbourne. She’s obsessed with chocolate, Laura Moon from American Gods, and Daenerys Targyaren. You can connect with her and read more of her work at www.slayathomemum.com.